As we approach a great turning point in history when technology is poised to redefine what it means to be human, The Fourth Age offers fascinating insight into AI, robotics, and their extraordinary implications for our species. “If you only read just one book about the AI revolution, make it this one” (John Mackey, co-founder and CEO, Whole Foods Market). In The Fourth Age, Byron Reese makes the case that technology has reshaped humanity just three times in history: 100,000 years ago, we harnessed fire, which led to language; 10,000 years ago, we developed agriculture, which led to cities and warfare; 5,000 years ago, we invented the wheel and writing, which lead to the nation state. We are now on the doorstep of a fourth change brought about by two technologies: AI and robotics. 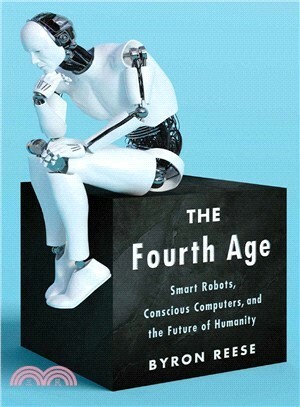 “Timely, highly informative, and certainly optimistic” (Booklist), The Fourth Age provides an essential background on how we got to this point, and how—rather than what—we should think about the topics we’ll soon all be facing: machine consciousness, automation, changes in employment, creative computers, radical life extension, artificial life, AI ethics, the future of warfare, superintelligence, and the implications of extreme prosperity. By asking questions like “Are you a machine?” and “Could a computer feel anything?”, Reese leads you through a discussion along the cutting edge in robotics and AI, and provides a framework by which we can all understand, discuss, and act on the issues of the Fourth Age and how they’ll transform humanity.